Choose from a range of selected prizes. 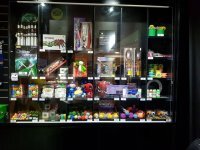 Our variety changes weekly, prizes from 20 tickets to over 1000, every one is a winner at 9D. DINO WHEEL: Win tickets every pull of the handle, the jackpot of 600 tickets can be won and has been won lately nearly everyweek. This is a simple game and everyone wins. 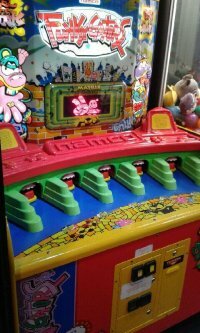 FUNKY GATOR: The theme is hit the Alligators as they slide out of the holes. There are 5 Alligators in total and at times there will be 3 gators at once to hit with the supplied soft mallet. Its an exciting game more suited to the younger audience 5 years up to 12 years. 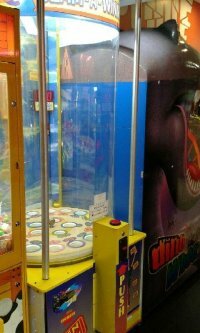 It helps kids develope their reflexes, where Parents have just as much fun. The more Alligators that are hit, the more tickets are received, rewarding your effort. 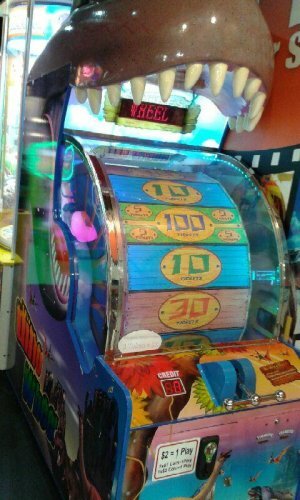 PRIZE CUBE AND CANDY CRANE: These both have rolls of tickets inside try your luck, each roll is valued at 100 tickets. Patrons WIN on our games daily.